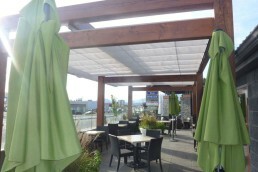 The beautiful climate of Kelowna British Columbia is a well-kept secret of Western Canadians. This area occupies a valley between the coastal and inland ranges of the Rocky Mountains, so it enjoys hot dry summers and mild winters. The outdoor living lifestyle is a big part of enjoying the climate there and Ora Restaurant was finished with managing cumbersome and ineffective umbrellas while still not getting the traffic the patio was due. 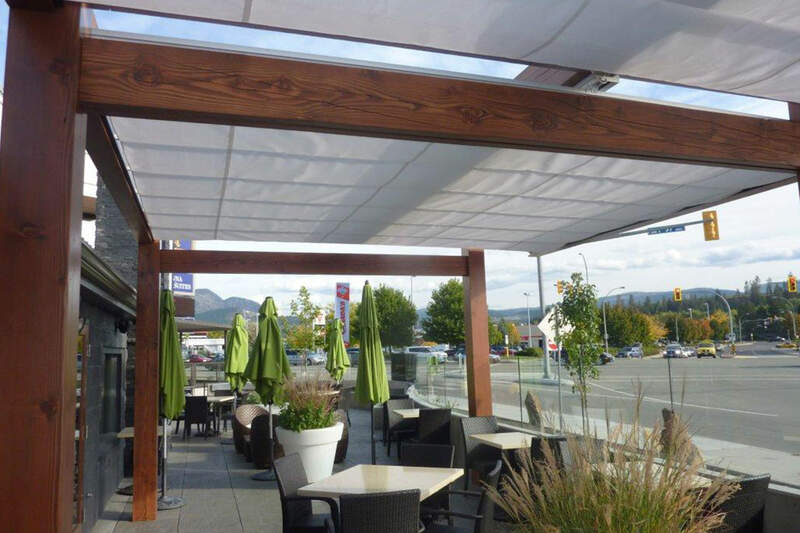 They contacted Valley Canvas for a solution and a ShadeFX canopy system on a custom constructed frame (pergola without rafters) was proposed. 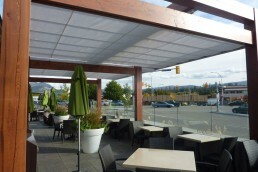 The project was approved with surprising speed and the entire system, frame and canopy with installation, was arranged by Valley Canvas. 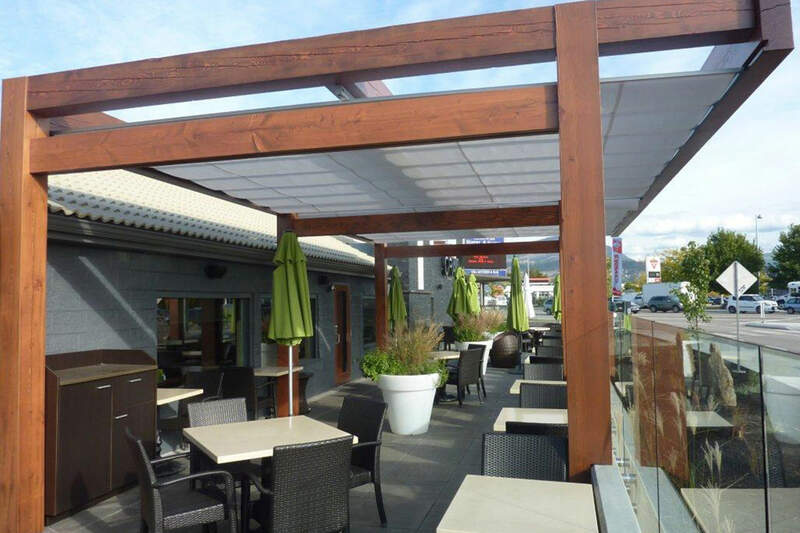 Our compliments go to the frame design/build contractor who made a number of design details that discreetly accommodate the retractable canopy system while taking care of some fundamental and practical requirements. 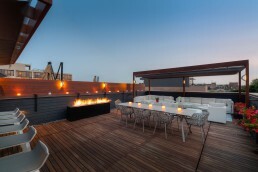 Notice how the wing tips are captive in a milled slot in the beams, and how those beams are cantilevered over the railing so any rain runoff misses the patio. Another crafty detail is that the canopy track is mounted to the underside of a beam that is shorter than the beam at the front. So, the slot for the wings is at the different level it should be without looking like it. 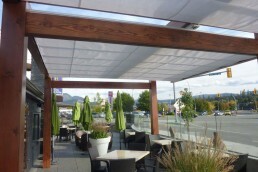 These are great examples of a pergola frame designer taking ShadeFX into consideration at the design stage. The result is amazingly clean, functional and elegant. 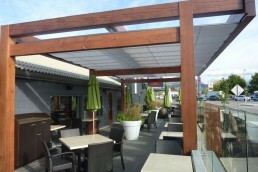 This is a great examples of a pergola frame designer taking ShadeFX into consideration at the design stage. The result is amazingly clean, functional and elegant.